Abby and John’s story is a good one! They met while working together in college, where they quickly became friends. They stayed close over the years, but it wasn’t until 10 years after meeting they decided they would give dating a try. 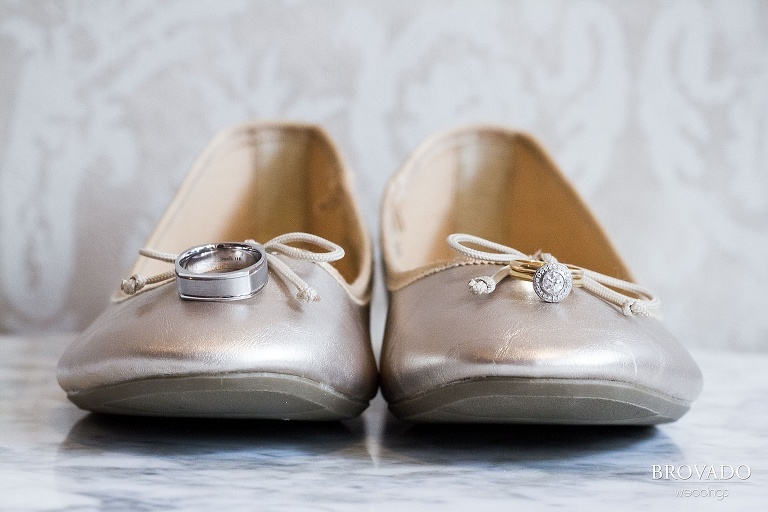 Cut to 12 years after their first meeting, Abby and John were married at the beautiful St. James Hotel in Red Wing, MN. 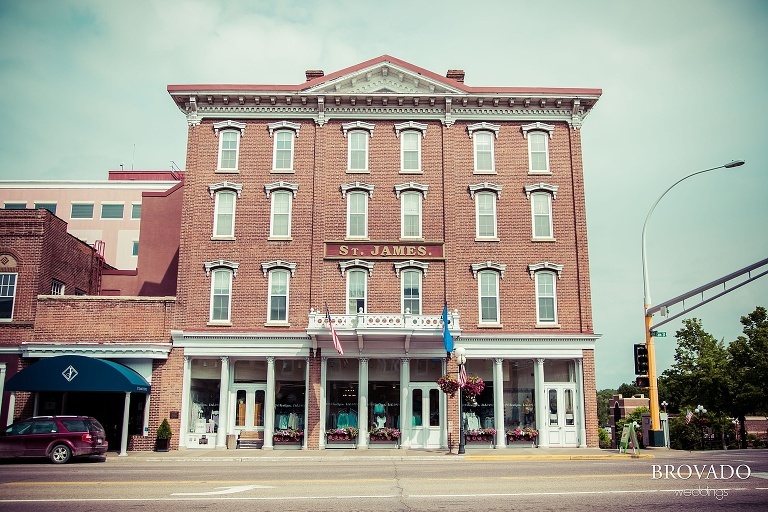 The St. James Hotel is a Minnesota wedding photographer’s dream. I love taking wedding photos here! The giant brick exterior and the spacious interior make for some awesome wedding photos. Neither Abby nor John are from Red Wing, but they saw the town as a great spot to gather family from all over Minnesota to celebrate their wedding day. We took some amazing wedding photos in and around the hotel, including some awesome pictures in a nearby train yard! 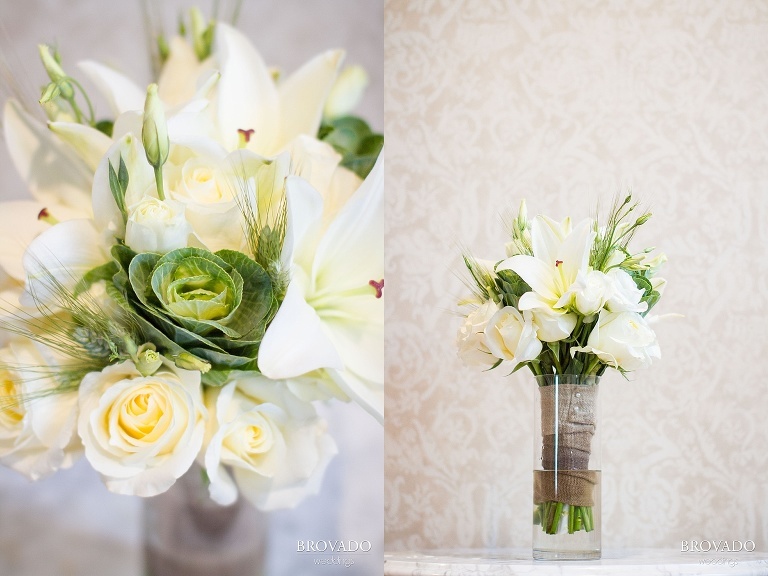 It was a beautiful wedding day, down to every last detail. Abby’s elegant wedding gown came from the Wedding Shoppe in St. Paul, MN, while her hair and makeup were done at Hair Expressions in Arden Hills. The cupcakes were made at Miss Sara’s Cakery in Hastings to match the beautiful white and green flowers, done by Inspired Home & Flower Studio in Red Wing. Deckci Decor, based out of Roseville, added a classy, casual touch to the decorations, which made for some nice wedding reception photography. Abby said that her mom talked to John after the ceremony was over and said, “When you first came over to the house in college all those years ago for dinner… I knew then you were the one. I always knew it was going to be you.” I love their story! Congrats to the happy couple!